“The Georgian baritone George Gagnidze was an exceptionally menacing Scarpia, singing with robust, earthy power and seductive lyricism when the villain turns on the charm”. With these words the New York Times hailed George Gagnidze in a 2008 performance of Tosca at Avery Fisher Hall at Lincoln Center. One year later he made his sensational debut at the Metropolitan Opera in New York as Rigoletto, and since then he has ranked among the leading singers of his genre. Regularly invited by the most prestigious international opera companies, in the upcoming season George Gagnidze will make his San Francisco Opera debut as Carlo Gérard in Andrea Chénier and later as Amonasro in Aida, a role he will reprise at the Metropolitan Opera, and will be performing Andrea Chénier and Tosca at the Deutsche Opera Berlin as well as Šakovlity in Hovanščina at the London Proms. In the 2015⁄2016 season Gagnidze appeared in Rigoletto and Pagliacci (Canio) at the Metropolitan Opera, Rigoletto at Deutsche Oper Berlin, Aida at the Opéra National of Paris, Falstaff (title role) at the New National Theatre di Tokyo and Pagliacci at The Los Angeles Opera. Past highlights include the title roles in Rigoletto e Macbeth, Cavalleria rusticana (Alfio), Pagliacci, Hovanščina at the Metropolitan Opera, Nabucco (title role) and Tosca at the Vienna State Opera, Rigoletto, La traviata (Germont) and Aida at the Teatro alla Scala in Milan, Tosca at Opéra National of Paris, Simon Boccanegra (title role) at the Teatro Real of Madrid, Rigoletto at the Festival of Aix-en-Provence, Cavalleria rusticana and Pagliacci at Gran Teatro del Liceu of Barcelona, La traviata at the Arena of Verona, and Otello (Iago) at The Greek National Opera of Athens. Born in Tbilisi and trained at the State Conservatory of his home town, George Gagnidze debuted as Renato in Un ballo in maschera in 1996 at the Paliashvili State Opera. He entered the “Concorso Voci Verdiane” in 2005 as an award-winner of the “Leyla Gencer Voice Competition” and the “Elena Obraztsova Competition”. The jury, chaired by José Carreras and Katia Ricciarelli, awarded him first prize for his outstanding vocal interpretation. After launching his international career from Germany, he was soon engaged by many of the world’s important opera houses. His DVD/Blu-Ray recordings include Tosca from the Metropolitan Opera and Aida from La Scala. 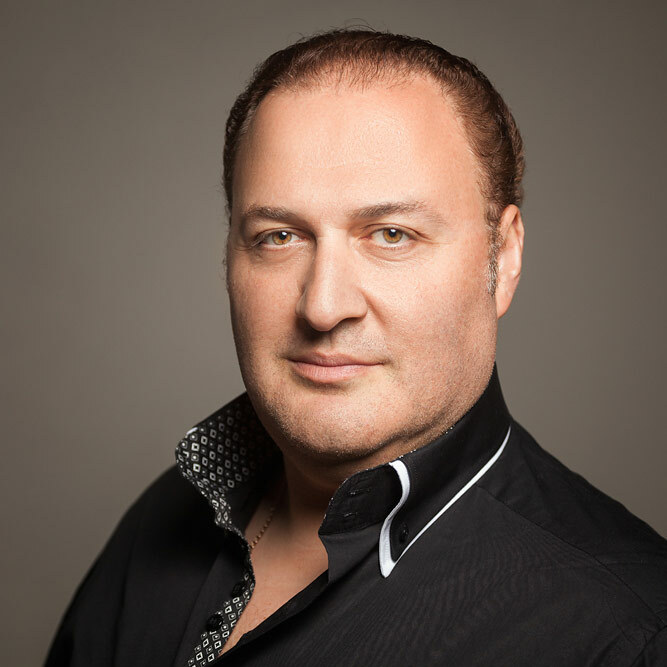 In the course of his career, George Gagnidze, who now masters the genre of dramatic heroic baritone, has worked with many renowned conductors and directors, including James Levine, Lorin Maazel, Zubin Mehta, James Conlon, Plácido Domingo, Mikko Franck, Jesús López-Cobos, Nicola Luisotti, Daniel Oren, Gianandrea Noseda, Kirill Petrenko, Yuri Temirkanov; Luc Bondy, Liliana Cavani, Robert Carsen, Peter Stein, Giancarlo Del Monaco, Henning Brockhaus, and Robert Sturua.